The judge passed the order on a petition moved by the Tamil Nadu Chemists and Druggists Organisation, which sought banning online sale of medicines. Petitioners claim online purchases come with risks likes sale of fake or expired or unapproved medicines. The Madras High Court on Monday banned the online sale of medicines till the Union Health Ministry and the Central Drugs Standard Control Organisation notified the proposed Drugs and Cosmetics Amendment Rules, 2018 in the gazette at the earliest by January 31. Justice Pushpa Sathyanarayana directed online pharmacy traders to obtain licenses as per the prescribed rules that are going to be notified within a duration of two months. On the request made by the counsel for online traders, the judge directed the authorities concerned not to give effect to the order till December 20. Recently, the court had reserved its verdict on the plea. Justice Sathyanarayana, who disposed of the petition on Monday, noted that though there was a statute, regulatory rules were yet to be notified, in the wake of advancement of technology. "Unless the legislation keeps pace with technology, the commerce based on technology has to lag behind," the judge said. While the draft rules are published in the gazette, they are yet to be notified. Once it is notified, there is bound to be disagreement between law makers, drug companies, online traders and finally the consumers. In the absence of any Central or State government legislation or rules, online sale of prescription of drugs could hardly be curbed, the judge said. The government had already been given a longer rope by a previous order passed on December 20, 2016 by a division bench. Though around two years had passed, the rules are still at the draft stage, Justice Sathyanarayana said. The central government should notify the rules at the earliest in the interest of public and the online drug trade, the judge said. The Delhi High Court had on December 13 stayed the sale of drugs and prescribed medicines by online pharmacies. 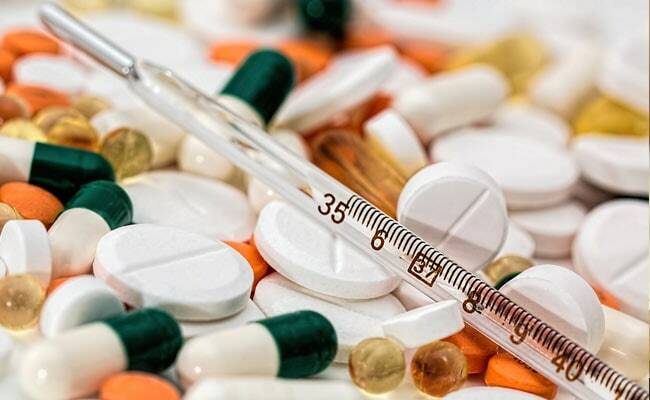 A bench of Chief Justice Rajendra Menon and Justice VK Rao of the Delhi High Court had passed the interim order on a plea seeking a ban on "illegal" sale of drugs and medicines online. On October 31, the Madras High Court had passed an interim order prohibiting online sale of medicines by unauthorised traders.